Made with wooden laminated pine timber autoclave with non-toxic salts. Composed by 4 pillars of bonded section 9x9 cm and beam section 9x20 cm rectangular. 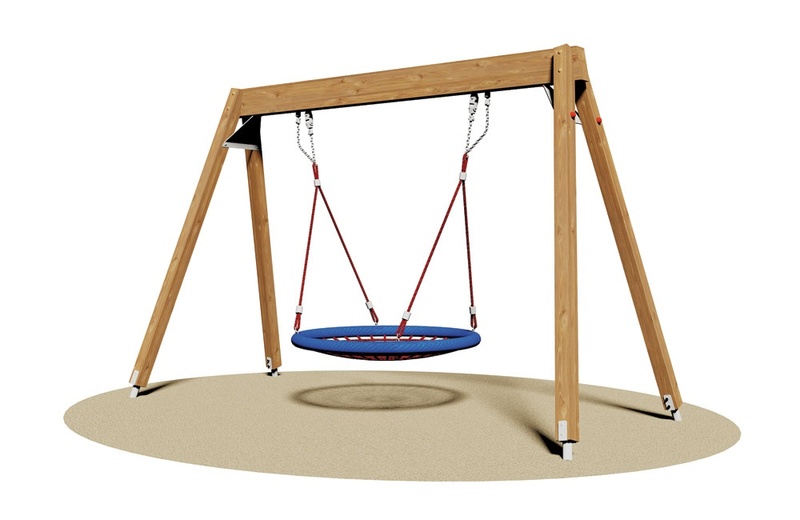 There is a seat in the cradle consists of a mixture of synthetic rope with colored inner core of steel and chain-mesh galvanized welded and connected to the beam focus with double-ended stainless steel. Assembled by 8.8 galvanized steel bolts and nuts. Elements covernut under colored nylon. Attacks galvanized metal for anchoring to the ground.